Baptism of Charles Kickham, 13 Jan 1812, Mullinahone RC par records. Sponsored by "Charles the grandfather". bapt 13 Jan 1812 [Mullinahone RC par records], sp "Charles the grandfather" (this is what is written in the par records) and Mary Flynn. He might be Charles Kickham who is listed in [House Book for Lismalin, 1846-48] at Islands, Lismalin par, NW of Mullinahone. Note that Mary Kickham's husband George Cashel was stationed at Lismalin at this time. "Charles Kickham" is listed in [Griffiths Valuation, 1850] as occupying a house (with a garden but no farm) at Islands, Lismalin par, leased from Richard Cormick (who lived in a big house at Islands). He might be Charles Kickham who died Mullinahone, 13 Jan 1871, age 60, described as married, think "labourer" [GROI]. Death reported by "Eliza Kickham" of Mullinahone, who was illiterate. to George Cashel [born 1807] and had issue. bapt 4 Apr 1816 [Mullinahone RC par records], sp John Dunne and Mary Kickham. bapt 19 Apr 1818 [Mullinahone RC par records], sp Bridget Egan. she must be "Sarah Kickham" who sp bapt of her nephew Edward Cashel 1840. Islands, Lismalin par, on 1829 to 1842 map. Baptism of William Kickham, 4 Apr 1816, Mullinahone RC par records. 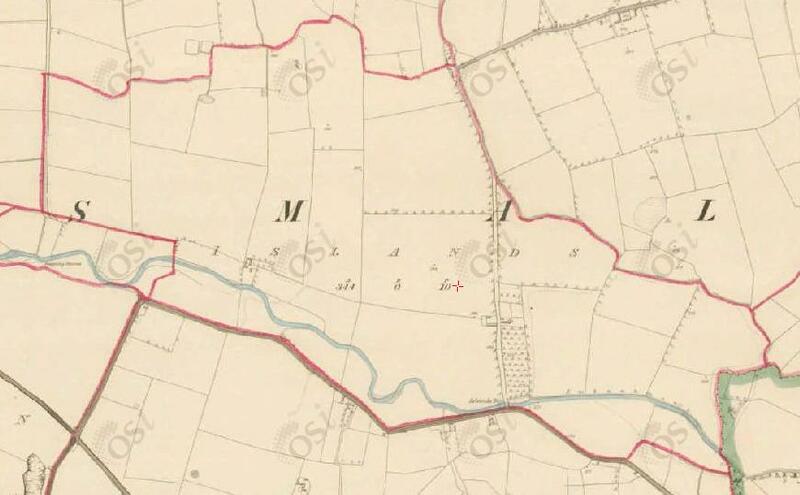 Baptism of Samuel Kickham, 19 Apr 1818, Mullinahone RC par records. Baptism of Sarah Kickham, 12 June 1820, Mullinahone RC par records.